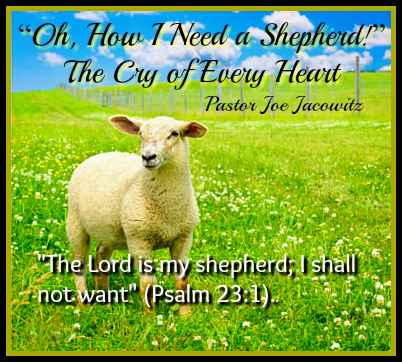 "Oh, How I Need a Shepherd!" 1. The Shepherd’s Provision, vss. 1-3. 2. The Shepherd’s Protection, vss. 4-5. 3. The Shepherd’s Preservation, vs. 6.